It’s time to break out our favorite pink wine, this time in a vintage trailer…I say yes please! Magic Theatre has another world premiere opening this month centered on the era in which we “grew up” – The Gangster of Love. 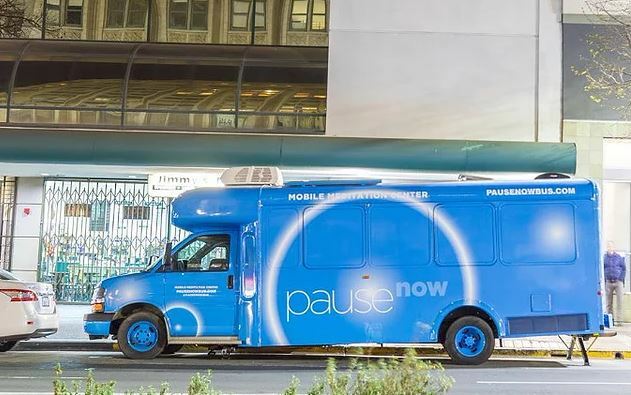 Hold your breath and let it out as there is a new meditation bus making the rounds in SF – mindfulness on the go. And in the “we have it all category,” you can experience piping hot ramen – not the 99-cent kind, in a vending machine! Oh Happy April discovering all of SF’s latest and greatest! To all my Rosé loving Tomatoes, what if I told you that you may now enjoy this refreshing adult beverage on a warm, sunny day, with all your friends, inside a shiny vintage travel trailer overlooking the Pacific Ocean? 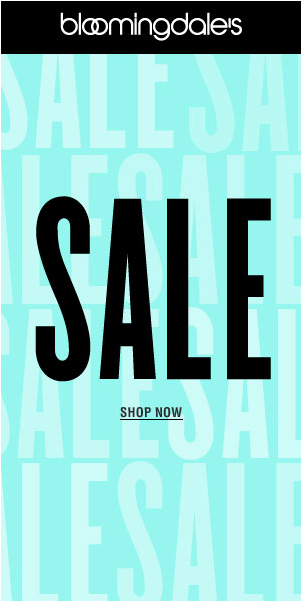 YOU CAN, it’s another OMG moment. Based in San Luis Obispo, Malene Wines first launched its small-batch, Provençal-style rosé in May 2016. 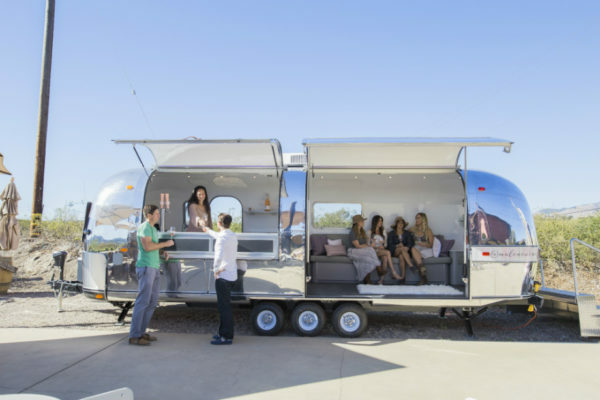 Now, to celebrate the 2017 vintage, the winery is taking its tasting room on the road in style—in a 1969 Airstream Overlander trailer. That innovative Magic Theatre is at it again with another world premier penned by tomato Jessica Hagedorn. 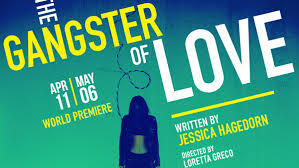 The Gangster of Love is the theatrical adaptation of her own story of immigration from Manila (based on her book). The story centers on Rocky Rivera and her eccentric family who settle in the Haight during the 1970’s. The narrative opens a window for us to a dynamic period of conflict, social change and artistic flourishing in San Francisco. Hagedorn’s immigrant artists show us the city of poets, rebels, and thriving musicians that were an integral part of SF in the 70’s. Featuring live music, poetry reading and music videos as key narrative forms, this personal story was 20 years in the making. 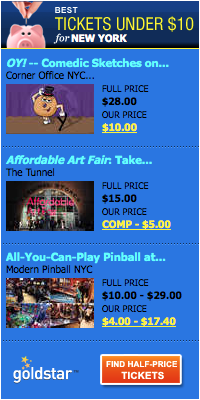 Get details at Magic Theatre. 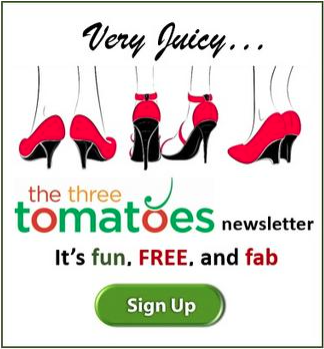 Written by the head Tomato, any woman over 50 who has ever felt invisible in our youth oriented society, will relate to this story of three best friends. Get the book. Accessible, convenient and comfort – key words to describe the moving meditation vehicle created by Tomato Jackie Corwin. After 30 years as a Wells Fargo banker, plagued with daily migraines triggered by work stress (anyone? 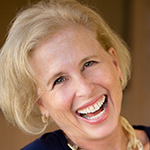 ), Corwin found meditation to be the healing she needed. Her headaches disappeared after she found a quiet alcove in her office where she could take a 15-minute mindfulness break. Inspired by the positive experience, she decided to leave her 30-year banking career and launch PauseNow to share meditation with more people. The words gourmet and vending machine aren’t often used in the same sentence. However, that’s how Yo-Kai Express is described. It is a large green machine that serves up a steaming bowl of tonkotsu ramen. 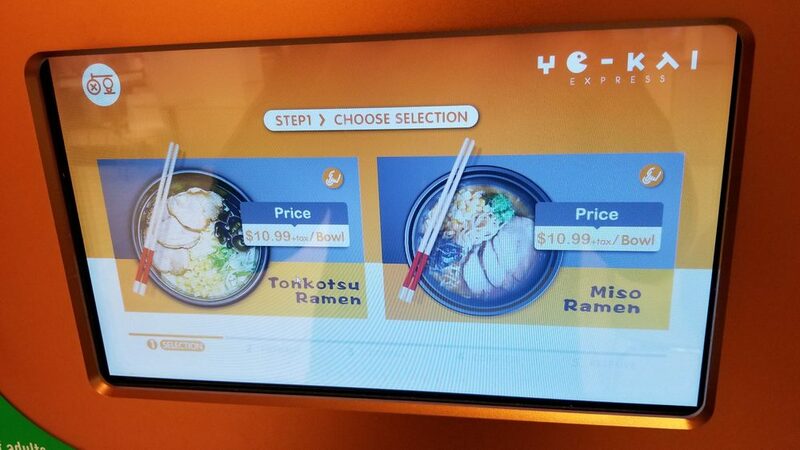 It has a touchscreen that prompts you to select your flavor, pay the $10.99 plus tax, and asks you to wait patiently for all of 45 seconds (I can do that) as your bowl of noodle soup is assembled and defrosted. After less than a minute, the machine dispenses your ramen, alongside a set of chopsticks and a spoon. Now this is healthier than chips and a soda! Of course, this vending machine lives in the food court of the Metreon, next to Café X (written about in the Three T’s last year!) the coffee stand with a robotic arm as barista. Andy Lin, the father of this ramen on the go says his “autonomous restaurant concept” fills the void in our dining. He gives us high-quality food available round the clock. So, if you are leaving the movies, and want a quick hot bite, head to the vending machine! Coming soon to SFO as well, now that’s a good idea! Learn more.